We had a great weekend! We got a lot done around the house. The kids cleaned up the yard and raked leaves. One of my good friends and I did a lot of interior painting to the new house. We also got a few things set up to make it feel a little homier. Friends and neighbors joined us on the deck Saturday night for a fire and a glass of wine. We grilled out with friends on Sunday and enjoyed the football game, even though the Bengals came up short. It was the perfect fall weekend. However, my little boy is now paying for the all the time outside, especially the fire, leaves and grill. He is congested and his asthma is flaring. He was up half the night coughing, which meant I was up half the night listening to him cough. 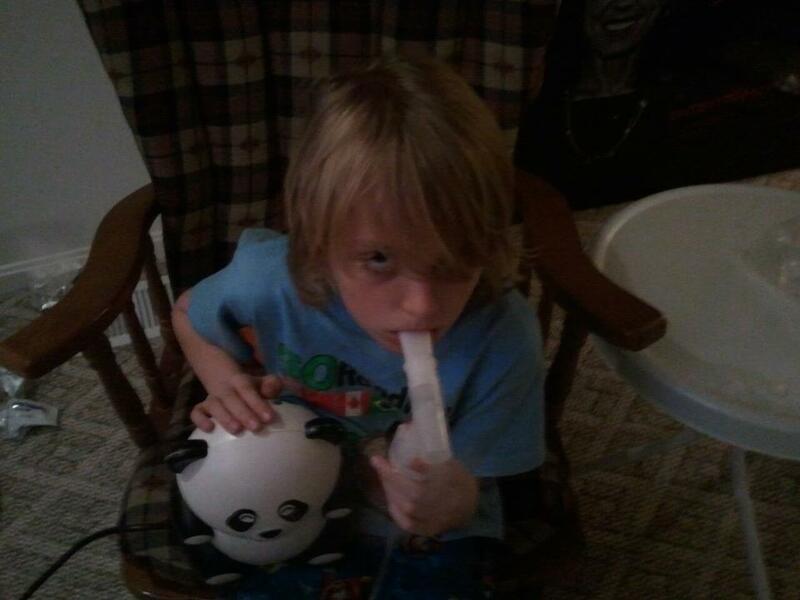 He’s had to use his inhaler and take breathing treatments through the nebulizer. I stayed home with him today to keep a close eye on him. I honestly think I would rather deal with a broken bone or other injury than an asthma flare up. It’s extremely stressful for the child and parent. Since he is almost 10, he is definitely aware that he is having a difficult time breathing, which makes him nervous. I am stressed because my baby is congested, coughing and having a hard time breathing. It’s very scary. I used to run to the doctor every time he had a cough but we have learned to manage the asthma at home over the years and visit the doctor as needed. Although he attends an excellent school with great teachers and administrators, it is hard to send him to school when he’s congested even if the asthma seems to be under control. Honestly, it’s hard to even let him visit grandma or be with anyone other than me. I just worry so much that I prefer to watch over and make sure he gets the breathing treatment immediately if needed. So, I’m not sure if he will return to school and I will return to work tomorrow. I hate for either of us to miss but his health is my priority. Do you have a child with asthma or other health issue that stresses you out? How do you deal with it? How do you help your child unde rstand and manage the health issue?